Begin your day of exploration at Rådhuspladsen, home of Copenhagen’s stunning, Italian-inspired City Hall. Inside, take in the beautiful lobby and the fascinating World Clock, an incredibly intricate piece of timekeeping. 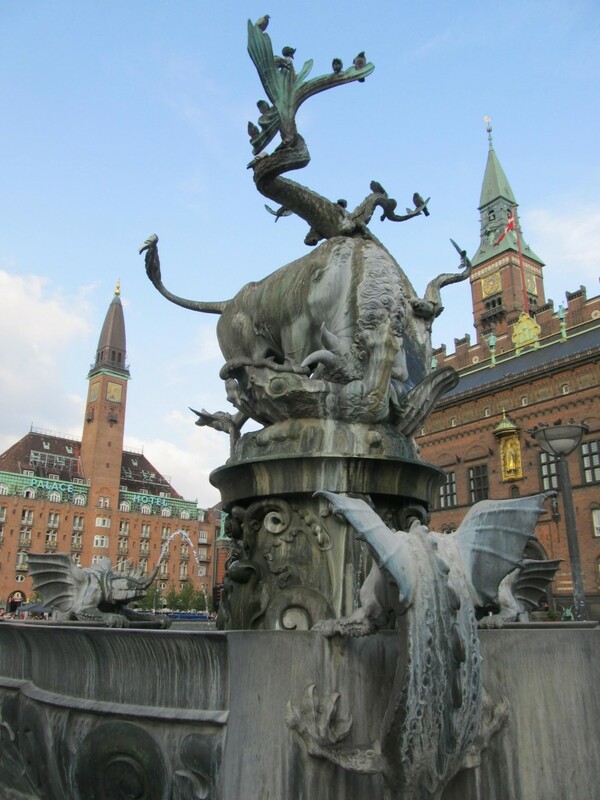 Outside, pay a visit to the statue of writer Hans Christian Andersen, history’s most famous Dane, and admire the imposing Dragon Fountain. Head up the Strøget, Copenhagen’s famous pedestrian street, one of the oldest and longest in the world. 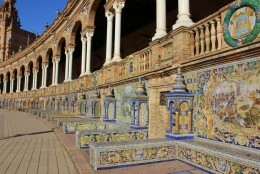 Here you’ll find historic buildings, squares, and fountains, combined with a multitude of shopping opportunities. In just a few moments, you’ll see Lagkagehuset on the right hand side, one of the city’s many delicious bakeries, where you can pick up a coffee and a pastry (custard-filled spandauer are my favourite) as a little breakfast on the go. Continuing on, you’ll find yourself standing where Gammel Torv (the Old Square) and Nytorv (the New Square) meet. 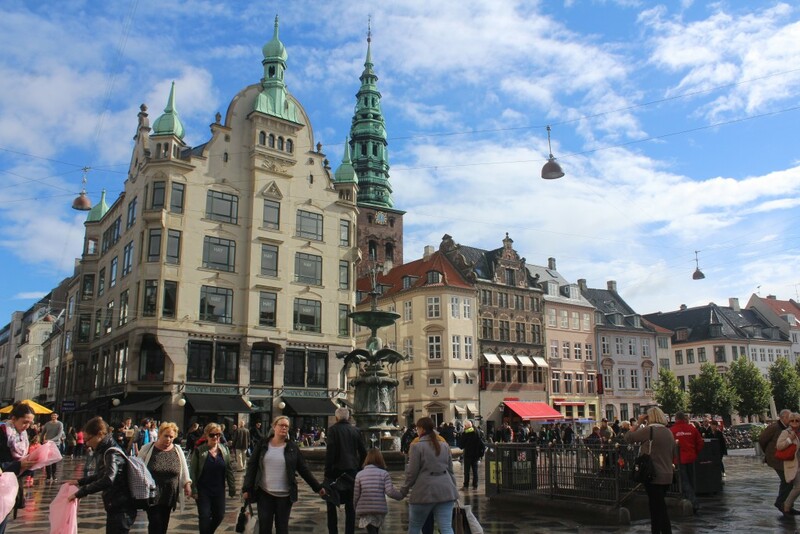 In Nytorv, take in the former City Hall and current courthouse, and in Gammel Torv, Caritas Well – Copenhagen’s oldest fountain – and Copenhagen Cathedral, site of H.C. Andersen’s funeral, as well as the wedding of the current Crown Prince, Frederik, and his wife Princess Mary. Continuing up the Strøget, you will reach another gorgeous fountain, the Stork Fountain, created in the 1894 as a silver wedding anniversary gift for the former Crown Prince and his wife. Turning right at the fountain, head past the imposing statue of Bishop Absalon, founder of Copenhagen, and cross the canal at Gammel Strand to reach Slotsholmen. 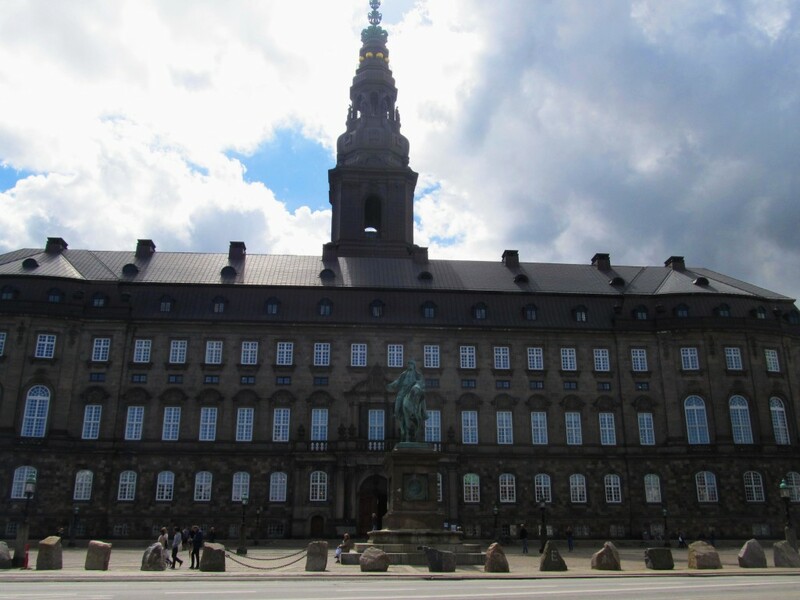 This island is home to Christiansborg Palace, the Danish Parliament and home of the Royal Reception rooms, along with the Old Stock Exchange, Royal Library, and several museums. You can pass through the Palace to the inner courtyard, where if you’re lucky you’ll see some of the Queen’s white horses getting some fresh air or even training for their Royal duties. Heading back the way you came, you can take the ride up the Christiansborg Tower to get the best views of Copenhagen, and for free! Continuing on your previous heading, cross back over the canal taking in the views from Højbro – the High Bridge – and pass by the imposing tower of Nikolaj Kirke, once a church and currently an art gallery. Arriving at the main square of Kongens Nytorv, you’ll see Magasin du Nord, Denmark’s oldest and biggest department store, and the Royal Danish Theatre. 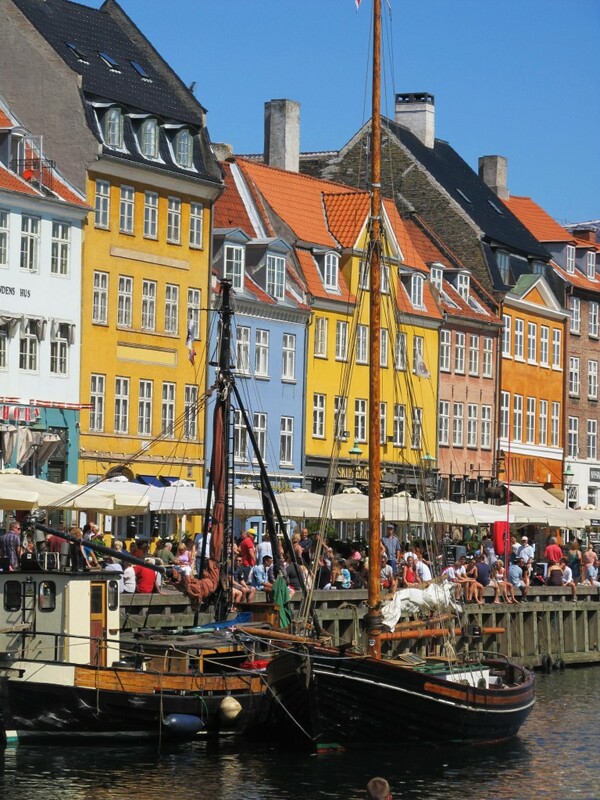 Passing the theatre and staying to right, you’ll reach Copenhagen’s most famous sight: Nyhavn. This small picturesque harbour is renowned for its colourful buildings an historic tall ships, and it is the most photogenic part of the city. Stroll along the harbour on the opposite side for the best views and photos, then cross the bridge and head straight, towards Amalienborg Palace. 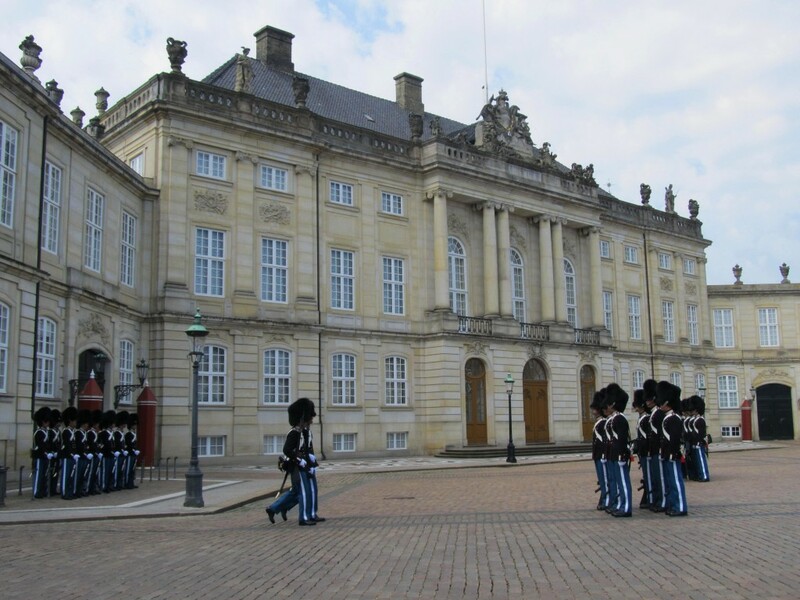 Try to arrive at the Royal residence of Amalienborg Palace for noon, so that you can witness the Changing of the Guard, as the Royal Life Guard march around the Palace grounds in their dark blue coats and bearskin helmets. It’s a unique experience, and you can get some incredible photos. If the Queen is at home, the spectacle will also involve a marching band and some extra pomp and circumstance. Pay a visit to the green-domed Frederik’s Church, also known as the Marble Church, where you can admire the largest church dome in Scandinavia for no cost. Emerging from the church, head across the Palace grounds towards the Harbour, where the huge, modern Opera House will be gazing at you across the water. Turn left and follow the promenade until you reach a gate. 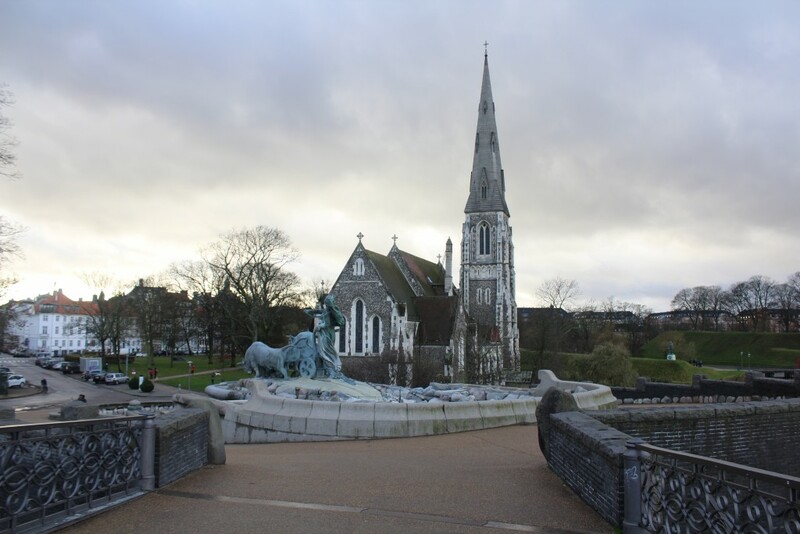 Passing through, you can admire the gorgeous Gefion Fountain and St Albans Church, and you can take a wander into the old Kastellet fortress (also free). 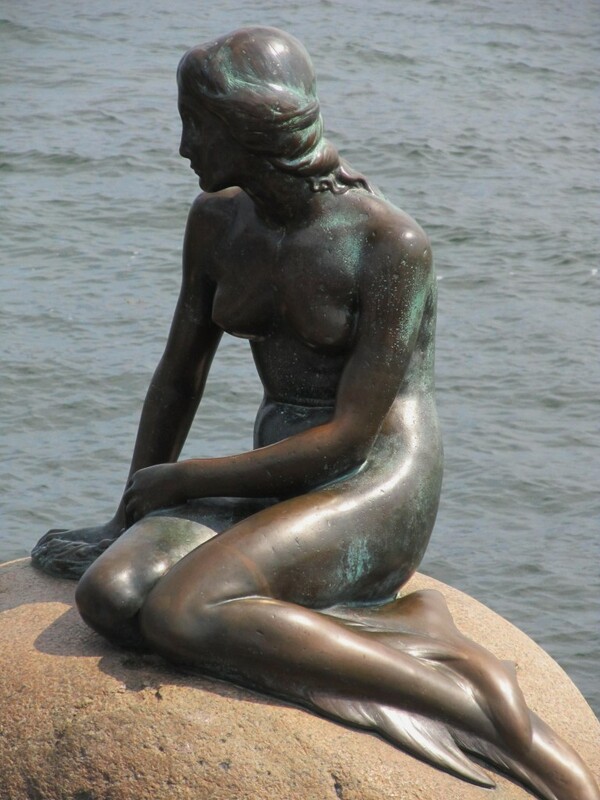 From there, cross the little bridge and continue up the Harbour until you reach The Little Mermaid, the iconic figure from Hans Christian Andersen’s story of the same name. Then, walking around the back side of the Kastellet, head to Østerport Station and catch the S-Train (commuter train) to Nørreport Station. You’ll find yourself in the perfect spot to have some lunch: Torvehallerne Market, two glass halls and many outdoor stalls of delicious eats. The market offers produce, meats, cheeses, and seafood, goodies like chocolates, jams, and teas, and a multitude of ready-to-eat food choices. 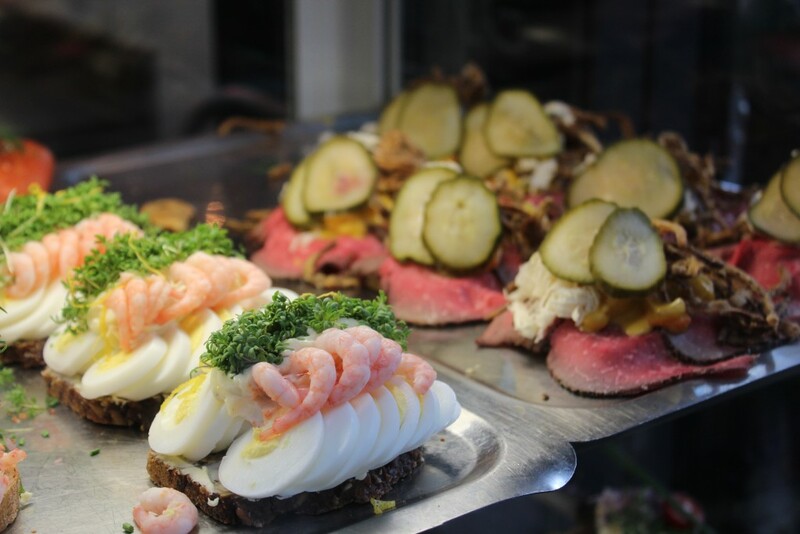 Try the smørrebrod open-faced sandwiches from Hallernes for a taste of the local cuisine- there are many to choose from, like shrimp and egg, potato-bacon, breaded fish fillet, and my favourite – roast beef with fresh horseradish. 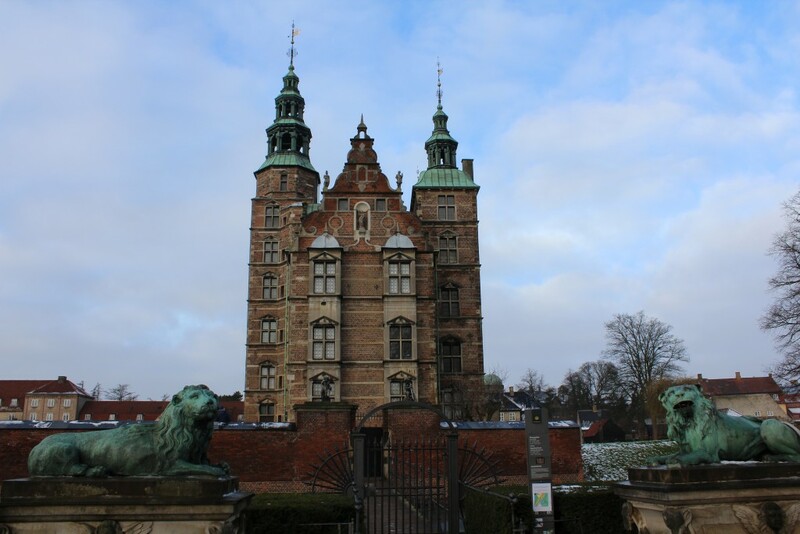 After you’ve browsed the market and eaten your fill, head back past Nørreport Station to Rosenborg Castle. Set in the beautiful King’s Gardens, the castle was built in the 1600s as a summer home for the Royals. Next door is the barracks of the Queen’s guards. After admiring the Castle and its grounds, head back to Nørreport Station and jump on the Metro to Christianshavn. 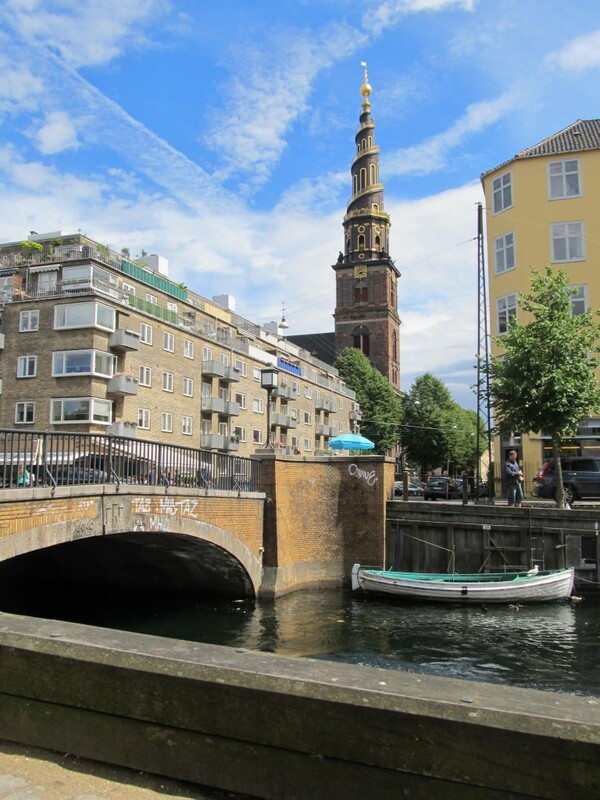 Arriving in the island borough of Christianshavn, take a wander along the canal to the Church of Our Saviour and its distinctive spiral spire. Behind the church is the Free Town of Christiania, a truly unique area of the city. 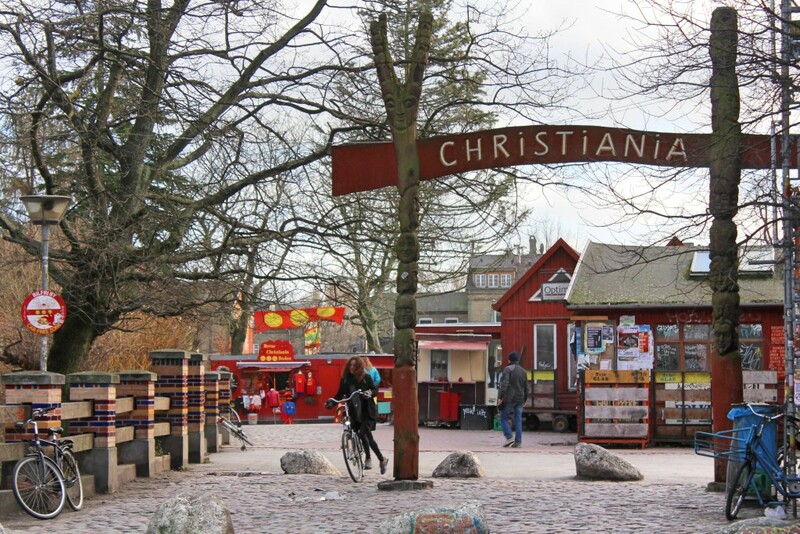 Christiania was established in 1971 when squatters took over an abandoned military base and set up their own alternative society. It’s best known for its Green Light District, where a series of huts on Pusher Street sell various types of marijuana, but it’s also a place that prides itself on family, community, the arts, and a non-traditional lifestyle. Though Christiania is quite welcoming to tourists these days, be aware of the community rules, especially concerning the ban on photos in the Green Light District. Now you find yourself with a choice to make. Copenhagen is a foodie city, and New Nordic is a unique and intriguing cuisine focused on innovation and the creative use of local, sustainable ingredients. If you love food, and it’s in your budget, you can use your evening to experience one of the city’s incredible New Nordic restaurants. Be sure to book in advance, as reservations are the standard and there is often little room for walk-ins. Some great options for an incredible New Nordic dinner (at a reasonable cost) are Høst, Uformel, and Kødbyens Fiskebar. 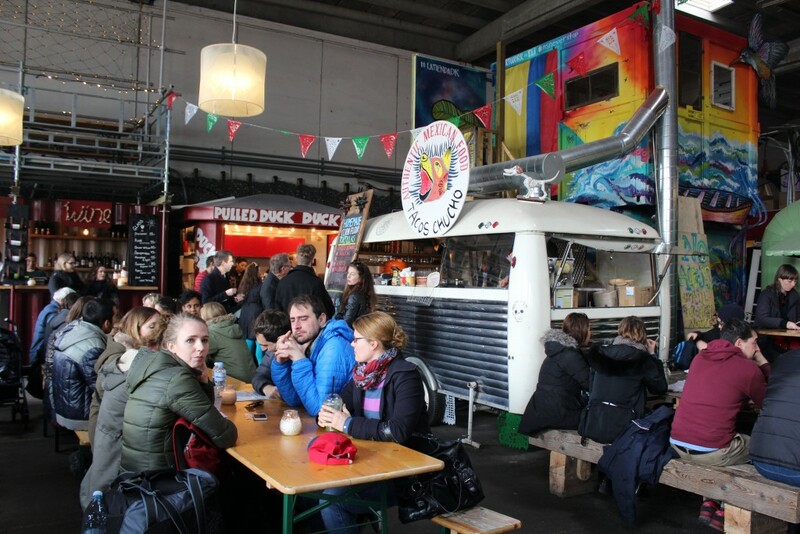 For a more casual dinner, head from Christiania to Papirøen, home of Copenhagen Street Food. This old paper storage warehouse boasts incredible views of the Harbour, as well as a range of delicious food stalls offering cuisines from around the world in a quirky atmosphere. My favourites are the duck confit sandwich from Duck It, the pulled pork sandwich from Oink Oink, and the tacos from Tacos Chucho. You can also try the previously-mentioned smørrebrød here, as well as gourmet Danish hot dogs, or pølser. If the weather is nice, take your food outside and enjoy the view and the local atmosphere. After your street food feast, head back to the main road and hop on the 9A bus, which will take you to Copenhagen Central Station. 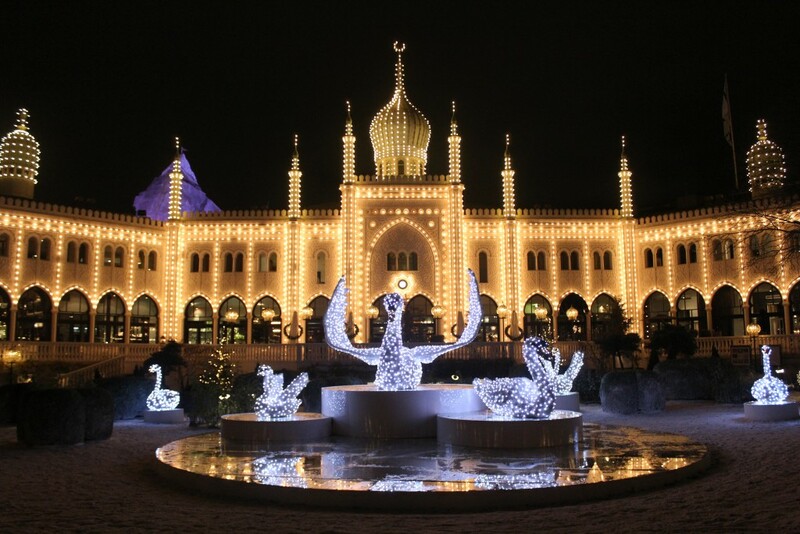 Just across the street are the famous Tivoli Gardens, the second-oldest theme park in the world, and inspiration for the Disney parks. 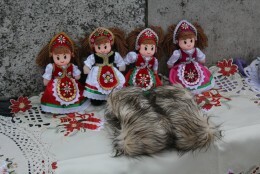 Tivoli opens seasonally for the summer, Halloween, and Christmas, so make sure to check in advance the opening dates. The park has a charming, historic feel, and is best experienced when lit up in the evenings (until 11pm/12am on Fridays and Saturdays). Take a stroll around the park and ride some of the iconic rides, like the 100-year-old wooden roller coaster, or the Star Flyer, which will send you soaring 80 metres above the city. If you happen to be in Tivoli on a Saturday night, finish your evening with the fireworks show at 11:45pm. I hope you enjoyed your big day in Copenhagen! You’ve truly experienced the best of the city. If you have any questions about visiting Copenhagen, feel free to ask below. Happy travels! That is a long day! Fortunately I have three days and a half in Copenhagen so I’ll be able to do all this at a leisurely pace and add a couple of museums. 🙂 Thanks for the itinerary and all the tips. Great post 🙂 Torvehallerne was a favourite of mine when I visited last year too. 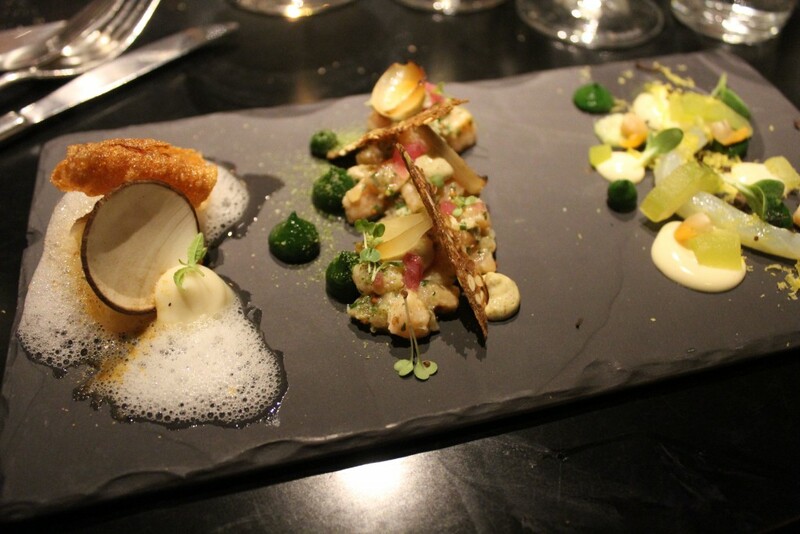 We loved our 15 courses at Host- but would also highly recommend Pate Pate for dinner too! Thanks so much! Torvehallerne is one of my favourite places for sure, and Høst is amazing as well. I haven’t tried Pate Pate, but I’ve heard good things! 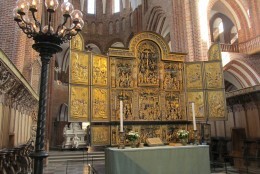 Glad you enjoyed and that I’ve given you some inspiration for your Copenhagen visit! It really is an incredible city, so I’m sure you will love your time here. Let me know if you need any other tips or recommendations!